Taylor Swift Announces New Album & Reveals First Single! 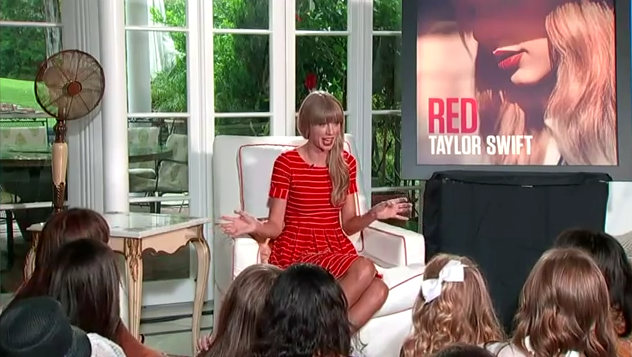 Taylor revealed that her new album Red will hit stores October 22. She took fan questions from all over the world, and even premiered her first single, “We Are Never Ever Getting Back Together.” The song is currently available on iTunes and Google Play. Check out the official lyric video for “We Are Never Ever Getting Back Together” after the jump! Previous Previous post: A Look At Katy Perry’s ‘Part Of Me’ Movie Sneaks!